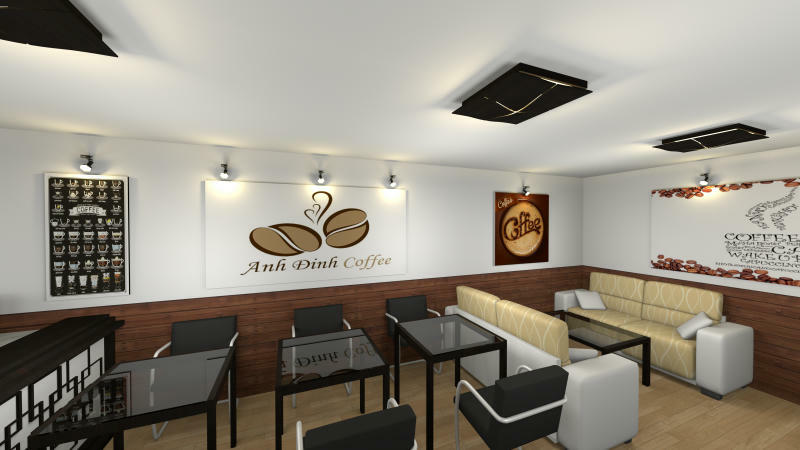 This is my design about a coffee shop. Wonderfully done. I feel you should change just one thing in your design. Just rotate the spot lights on the wall posters and add one more spot light in the centre of the poster in your first image behind the counter. The lights of the spot light will then fall correctly on the posters.. But otherwise very nicely done. Can anyone tell me where to get the wallpaper texture and/or the pictures? You can find them on internet. There are a lot of. Then, add them to the picture frame. 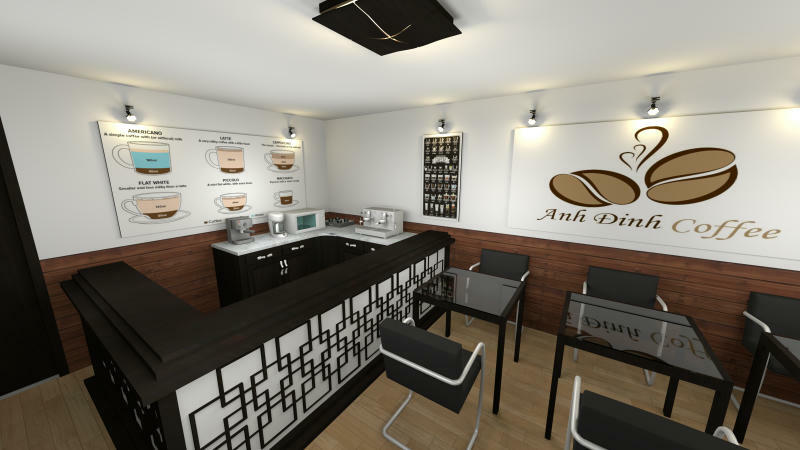 Hi, can you suggest any way of finding cafe/coffee shop specific furniture, service counters (for e.g. having food products on show) and similar? Or do they exist for Sweet Home 3D? I would say just do a search for what you're looking for; when you find something you like, just download the Collada file. I've done it lots of times, ever since someone else suggested the site to me. Thank you so much MartinSK. 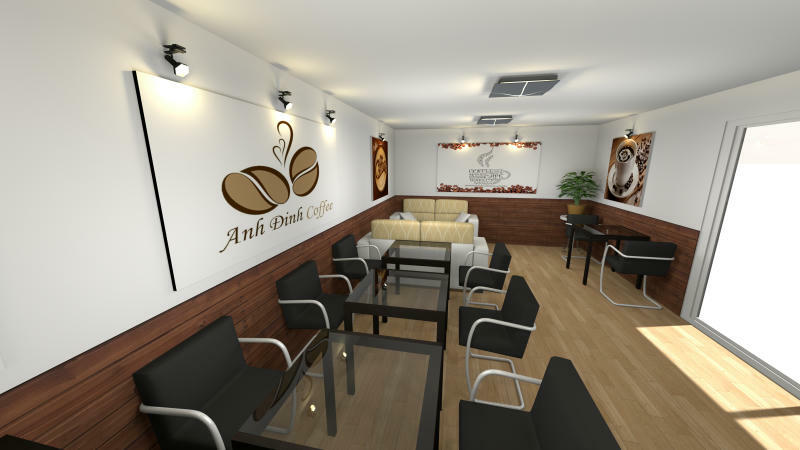 I plan to make a tutorial video for a coffee shop. I hope I can make it as soon as possible.